Kate Tattersall Adventures is a proud supporter of the under 14 boys team. 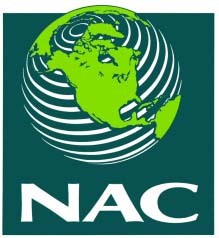 North America Construction (1993) Ltd. and NAC Constructors Ltd. were established in March 1993 and January 1996 respectively to provide true Master Builder services to the civil, municipal, biofuels, energy, mining and industrial marketplace. NAC currently employs an average of 900 highly skilled, certified trades people along with a highly experienced team of management professionals across Canada. Together, we've successfully completed projects ranging from large-scale municipal and civil projects, to heavy industrial projects. NAC is a proud sponsor of the Fergus Highland Rugby club. Vitality Chiropractic Care is a proud sponsor of Highland Rugby. 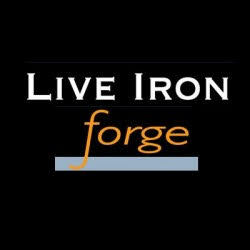 Live Iron Forge is a proud sponsor of Highland Rugby. TWO WHEEL MOTORSPORT is one of Central Ontario's largest powersport dealers, with one of the largest inventories of new and used machines in all of Ontario. We sell and service Kawasaki, Can-am Spyder, Suzuki, Ski-doo, Can-Am atv, Can-am Commander, Aprilia, Argo, Yamaha, and Moto Guzzi. Motorcycles, snowmobiles, atvs, and Argo AMPHIBIOUS ATVS are all a part of our world. We sell Kawasaki accessories, Suzuki accessories, canam accessories, spyder accessories, skidoo accessories, aprilia accessories, yamaha accessories, and moto guzzi accessories. We also sell Quality pre-owned PICKUP TRUCKS, trucks for sale in Guelph, and USED DIESEL PICKUP TRUCKS such as the Ford Superduty, GMC Sierra, Chevrolet Silverado, and Dodge Ram. We can help you if your taste is for a sport bike, a motocross bike, a cruiser motorcycle, a touring bike, a dirt bike, a dual purpose bike, an off road bike or a snowmobile, whether you are seeking new or used (pre-owned). CountrySense is an independently owned and operated family business in Fergus, Ontario. We specialize in products for those who enjoy the country lifestyle and offer a wide assortment of practical items. Come in and visit us to experience our personalized customer service and view our unique assortment of products.